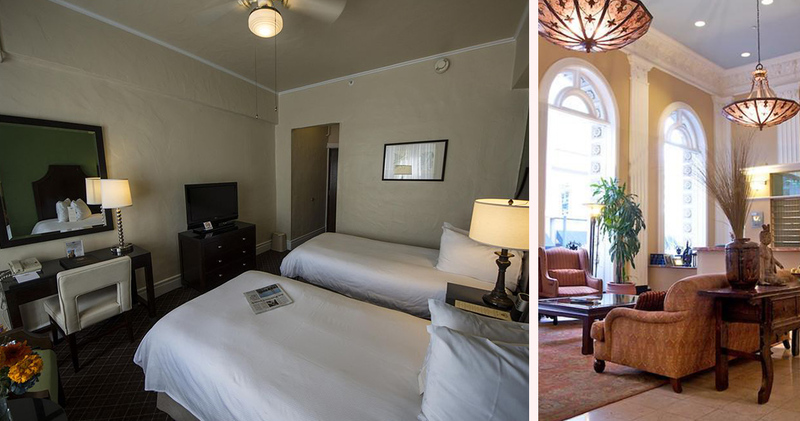 Built for the Panama-Pacific International Exposition in 1914, Chancellor Hotel San Francisco was once the tallest building in the city. Three years later, Isador Rosenberg purchased the hotel, and it has been managed by the family ever since. 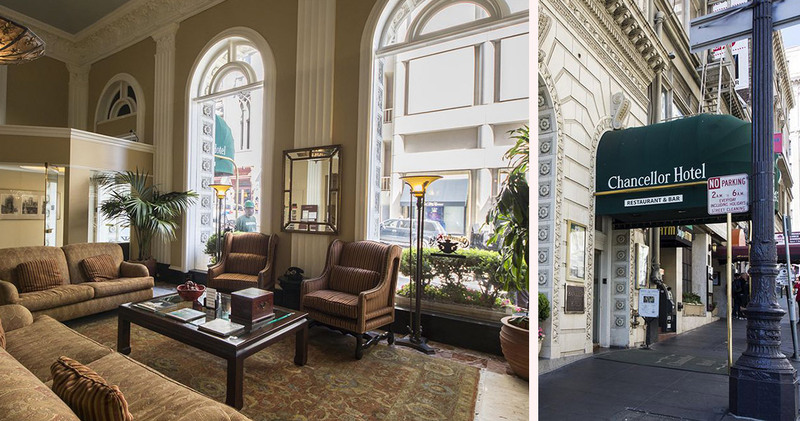 Today, this historic building is one of the very few remaining family-run hotels in San Francisco. 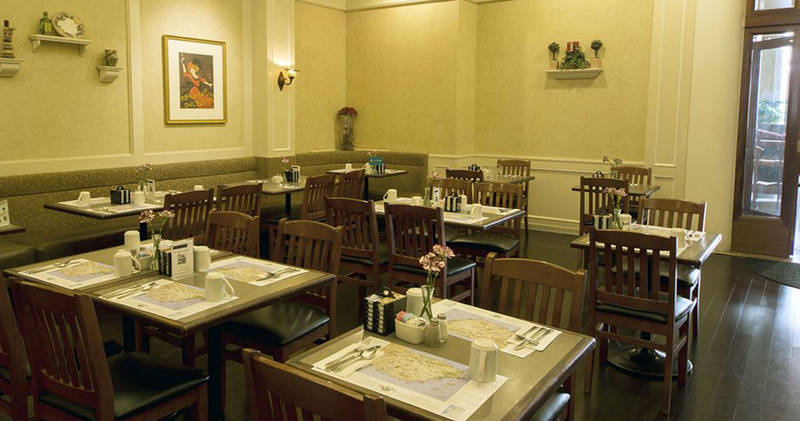 Located on Union Square, it is close to Fisherman’s Wharf and Lombard Street. 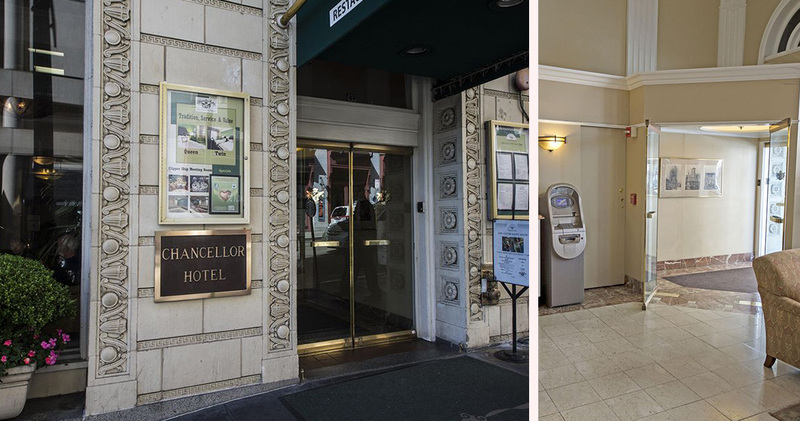 The Chancellor Hotel is charming and elegant with a spacious lobby, tasteful furnishings, plush armchairs, soft colors and large windows that let in plenty of natural light. 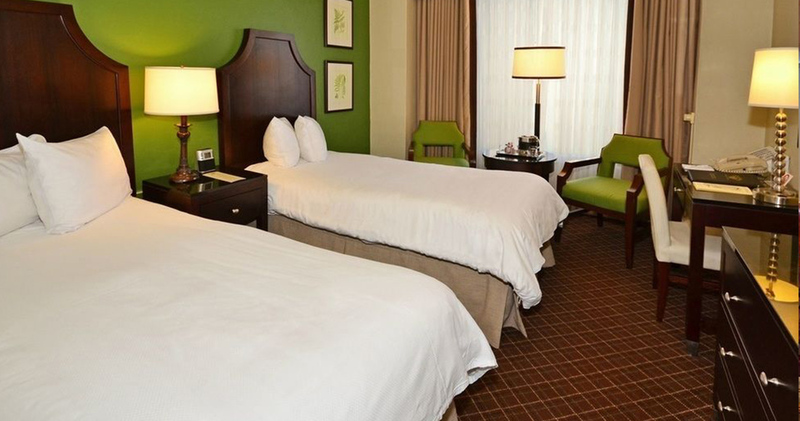 The 137 guestrooms at the Chancellor Hotel feature a contemporary style that is comfortable, inviting and cozy. Favorite features include the large, walk-in closets, high ceilings and touches of green and earthy brown that permeate the color palette. 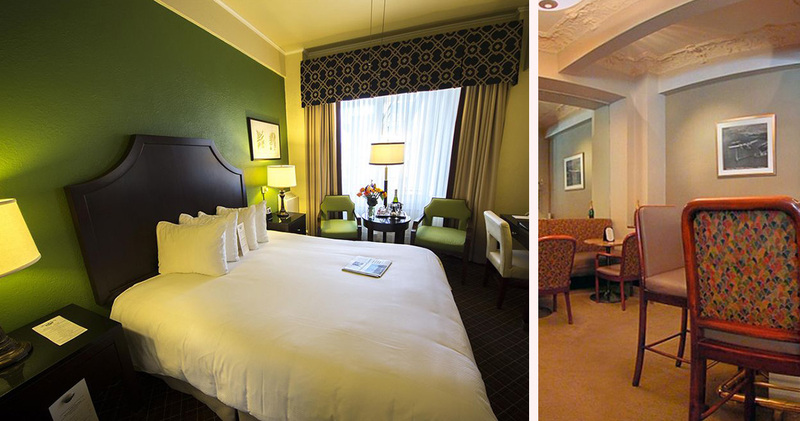 Additionally, the front guestrooms boast impressive views of the cable cars and Union Square. 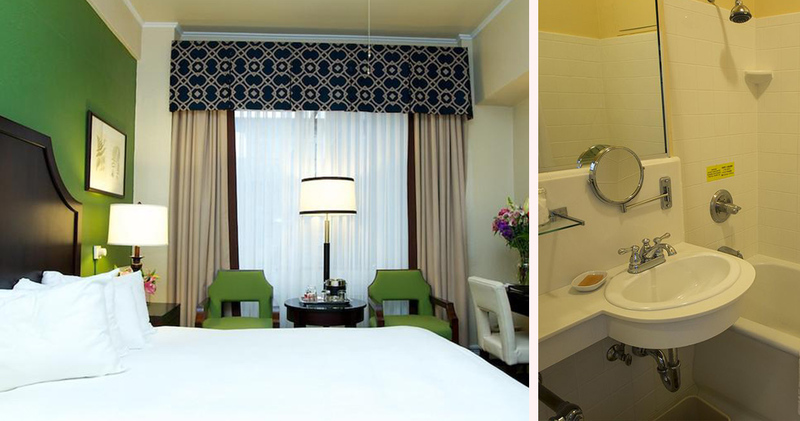 Chancellor Hotel even has a complimentary Pillow Menu that offers guests a selection of twelve types of pillow. The bathrooms feature clean white decor, an extra deep tub, Terra Pure bath amenities and even a rubber duck. 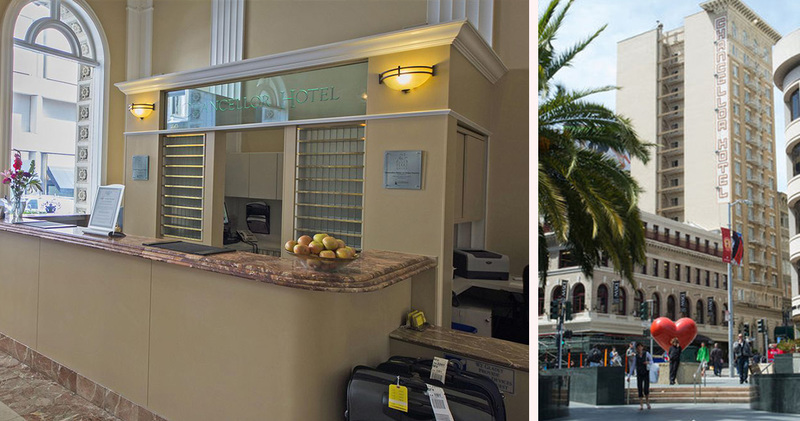 Chancellor Hotel San Francisco is home to the Luques Restaurant and Bar. 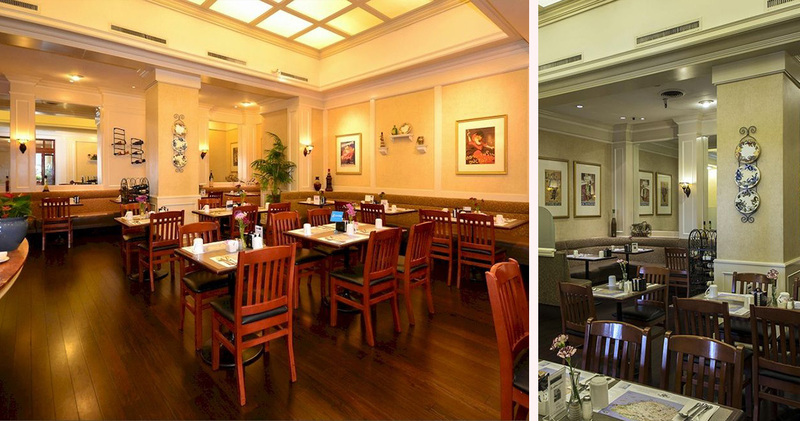 The restaurant has a pleasant, relaxed atmosphere and serves Californian cuisine for lunch and breakfast, while the bar serves a delightful selection of wines and cocktails.